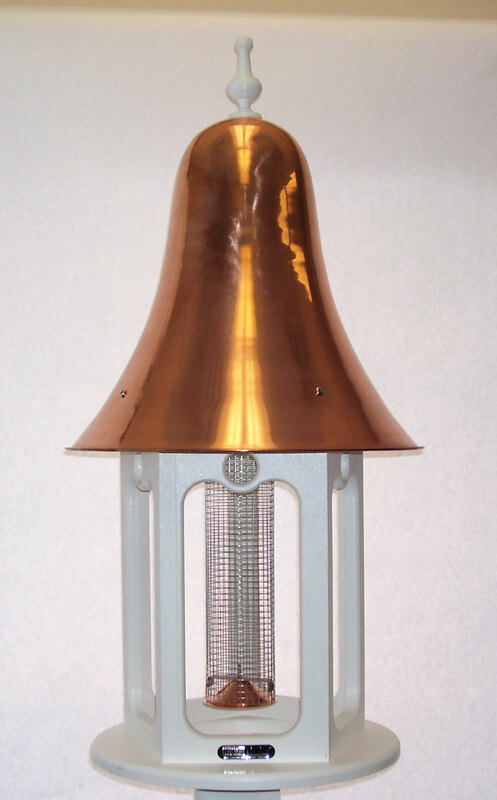 5/8" Poly-lumber made from recycled plastic and milk jugs, lifetime guarantee to never crack, split or fade, stainless steel screws, hand spun copper top with lacquered finish. 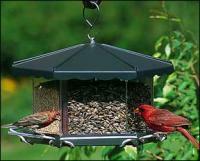 Removable stainless steel screen w/copper base dispenses shelled peanuts or sunflower seeds. Turn the stainless steel screen to remove and fill. 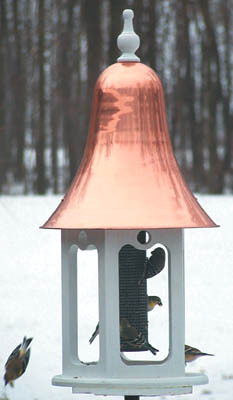 Beautiful feeder, it's a striking addition to our backyard. 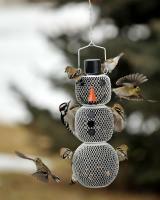 The birds love it! 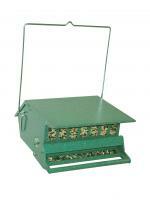 It is extremely durable and easy to fill.